With good oral care at home and regular dental visits, children can reach adulthood without suffering from tooth decay and other oral health problems. The food and drinks you give your child can affect their oral health. Everyone, including your child, has plaque - a sticky film of bacteria that forms on teeth. 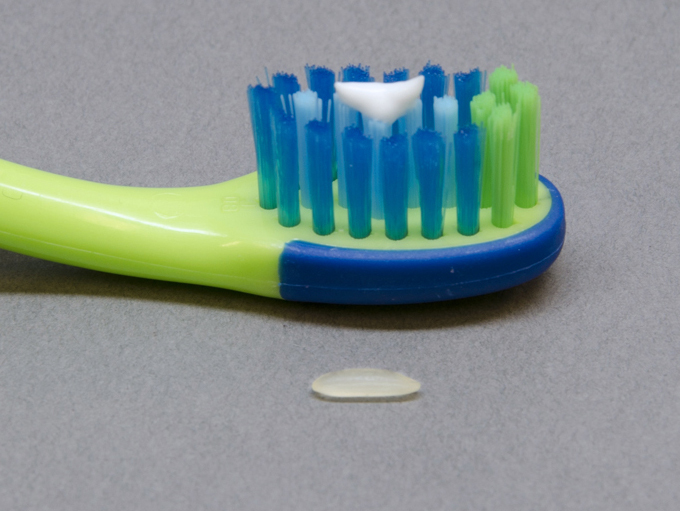 Plaque can build up if it isn't removed from your child's teeth every day. The plaque bacteria feed on the sugar that's found in the food and drinks you give your child. The bacteria create acids from this sugar supply. These acids can attack the hard, protective layer of enamel on your child's teeth for up to 20 minutes after they finish eating and drinking. Repeated acid attacks can affect your child's teeth, causing problems like erosion or decay, which can lead to infection in other parts of the body. For good dental and overall health, be sure your child eats a healthy diet. If your child needs a between-meal snack, choose healthy foods, like fresh fruits, vegetables, and low-fat/high protein foods. To help prevent tooth decay, save sweets for mealtime. For ideas about healthy foods and drinks to give your child, see www.choosemyplate.gov. • Brushing teeth twice a day and cleaning between teeth once a day are important to keep teeth and gums healthy. • Choose a child-sized toothbrush with soft bristles. Replace it every three months or sooner if the bristles are frayed. Worn toothbrushes won't clean teeth properly. • Use the right amount of fluoride toothpaste for your child. 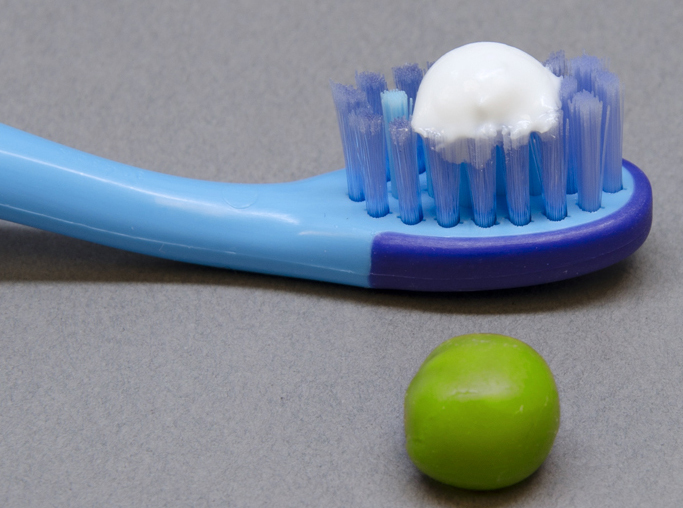 Be sure you are in charge of the toothpaste and your child knows it is not food. Do not use more toothpaste because your child likes the flavor! • Teach your child to spit out the toothpaste. • Supervise children while they brush their teeth. If they can't tie their shoes, they shouldn't brush their teeth alone. • As soon as your child has two teeth that touch, clean between them every day. If floss will not work, use another type of between-the-teeth cleaner. Your dentist can help you decide which type works best for your child's mouth. For children under 3 years old. For children 3 to 6 years old. Choose oral health products that display the American Dental Association Seal of Acceptance. This means they are both safe and effective in keeping your child's mouth healthy. Fluoride if nature's cavity fighter! Fluoride helps make teeth stronger and protects them from decay. It is a mineral that occurs naturally and is found in many water sources. Children who drink water that has the recommended levels of fluoride are less likely to get cavities than children who do not drink fluoridated water. Fluoride is also found in anti-cavity toothpastes, mouthrinses and treatments applied in the dental office. Talk to your dentist about your child's fluoride needs. Be sure to tell your child's dentist if you use well or bottled water; or if you use a water treatment system at home. A sealant is a plastic material that your dentist can easily apply to the chewing surfaces of your child's back teeth. The sealant flows into the pits and grooves in the teeth - places where a toothbrush might miss. Sealants protect teeth from plaque and acid attacks. Regular dental checkups and dental care - such as cleanings, fluoride treatments and sealants - provide your child with "smile insurance." Plan your child's first dental visit within 6 months after the first tooth appears, but no later than the first birthday. Consider it a "well-baby checkup" for your child's teeth. Many sports-related dental injuries can be prevented by wearing a mouthguard. Mouthguards can be custom-made by your dentist to fit your child's mouth. 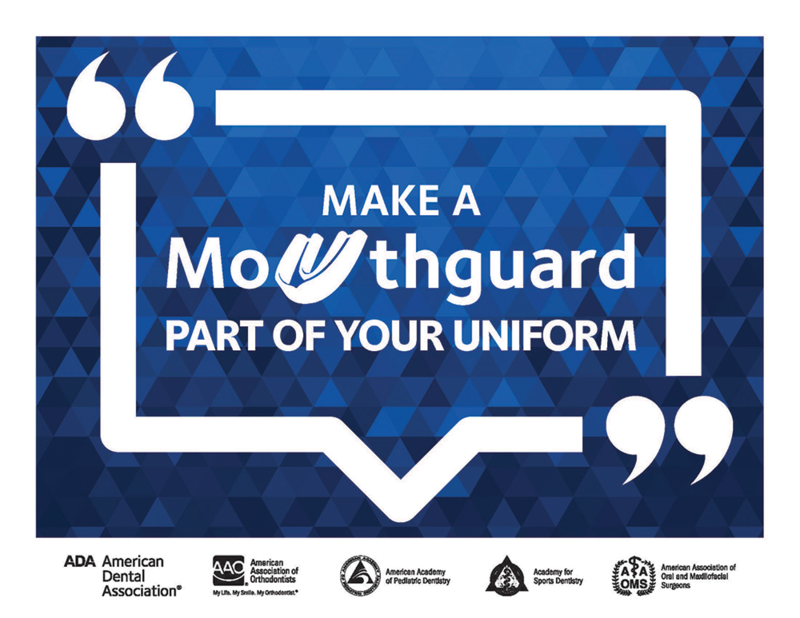 Or, you can purchase a "boil-and-bite" mouthguard at sporting goods stores that has the ADA Seal.